The tools announced as part of GameWorks library are designed to empower game developers to create amazing gaming experiences. 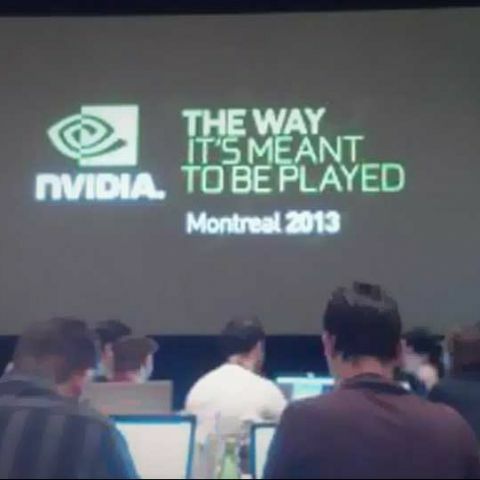 NVIDIA today announced three new dev tools at the Editor’s Day 2013 meet in Montreal Canada. The tools are a part of NVIDIA’s GameWorks library which has about 300 visual effects engineers working on it currently, many of whom hold PhDs. Making the announcement Tony Tamasi, Senior Vice President, Content & Technology emphasised the cross platform nature of many of these tools. Visual FX SDK: Provides turnkey solutions for complex, realistic effects. Tools such as Waveworks, Faceworks, GI Works, God Rays, FlameWorks form a part of this. Core SDK: Foundation for core GeForce technologies. Optix SDK: Ray tracing engine and frameworks. PhysX SDK: Authoring tool. Engines such as Unity and Unreal use PhysX. The most interesting demos however were of the three new tools announced today. Flex: Flex is a unified GPU PhysX tool that help integrate cross simulation interplay. What this means is that now you can have fluids, cloth, rigid, and semi-rigid bodies interact with each other in real time all at once. The demo showcased simulations of water balloons and rigid bodies being flung about by water waves. This presents some very interesting possibilities for the future of game design and end user experience. GI Works: A tool for creating accurate global illumination effects, it will help game designers save time and resources by not having to place multitudes of tiny light sources to sort of “fake” global illumination. The idea is to create realistic in game visuals by making sure lights bounce off surfaces creating indirect lighting. GI works can create real-time specular or glossy reflections and lighting in shadows is also possible. We should start seeing games integrating all of the above technologies from early next year according to NVIDIA. To round up the day’s events we had demos of games such as Project Cars and Star Citizen running in 4k resolution. The demos can be seen below but the video may not be able to showcase the detail that the games were able to render. More from Montreal coming soon. Stay tuned.